Investment group Cytonn is set to build a triplex complex in Nairobi’s Kilimani area whose tallest tower will be 35 floors. The development, Cytonn is set to build a triplex complex in Nairobi’s Kilimani area whose tallest tower will be 35 floors at the junction of Elgeyo Marakwet and Argwings Kodhek Roads, will sit on a four-acre piece of land. Cytonn estimates the project will cost Sh20 billion, inclusive of Sh1.5 billion price of land. It will have 30 floors of 174,139 square feet office and commercial space for rental, 180 hotel rooms, 160 serviced apartments, three-bedroom duplex apartments and penthouse suites, three basement parking floors with a capacity for 1,500 vehicles. “For mixed use development, Cytonn Towers seeks to meet the luxury housing demand, premier business office space, and hotel and conferencing facilities while at the same time offering target returns of 25 per cent per annum to our investors” said Cytonn’s managing partner and chief executive officer Edwin Dande during Thursday’s launch of the project. The tower, which is set to be among the tallest buildings in the area, will also feature Kenya’s highest suspended restaurant, Nairobi’s largest ball room, and a double horizon fitness club as per the developers. Other outstanding features in the tower will include the largest elevated infinity edge pool, an apex sky lounge and an observatory deck. Construction is set to start in November next year and end in December 2022. “It is primarily targeted at the upper middle class, Non-Governmental Organisations and embassies looking for prime and iconic space,” said Mr Dande. The 150-metre high building, according to the developer, will be built using local and international investors’ funds with Taaleri Plc, a private equity fund from Finland, the main investor. 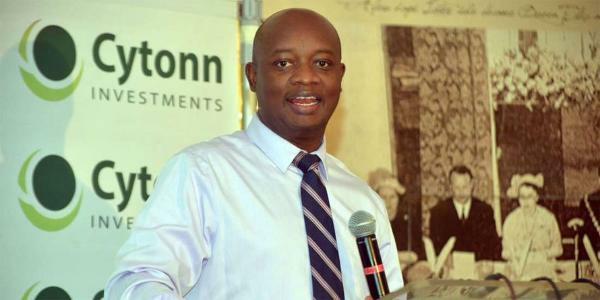 Plans to construct Cytonn Towers in Kilimani come barely three months after the ground-breaking of Sh20 billion Hilton Nairobi’s upcoming five-star hotel.